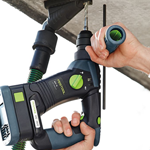 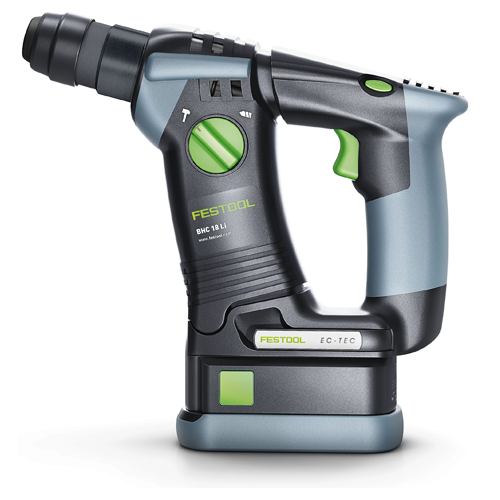 The Festool BHC 18 Rotary Hammer Drill joins an ever expanding range of cordless tools that are every bit as capable as their corded counterparts. 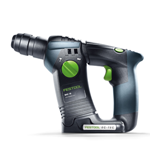 It has the best power - to - weight ratio in its class, and is built to withstand the toughest abuse you can dish out. 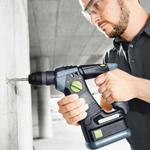 It's so tough, it's a safe bet you'll reach your limit before the drill does! 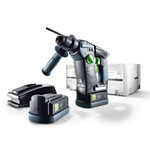 BHC 18 Plus Includes: BHC 18 Drill; two 18 V 5.2 Ah Li Airstream Batteries; Airstream SC 8 Charger; Depth Stop; Side Handle; and SYS 2 Systainer.